Working in emergency care as your first job after qualifying? Opinion is divided about whether this is a good idea. 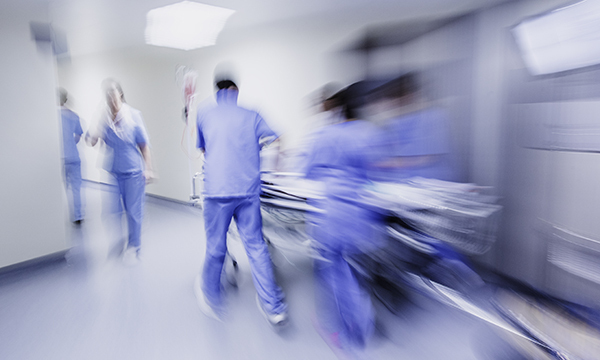 Some say avoid the emergency department (ED) at all costs; that newly qualified nurses lack the skills or experience to deal with the breadth and severity of illness seen. Ward experience should come first – to the extent that some trusts do not accept newly qualified nurses in EDs. Others say starting in the emergency care is the best thing they ever did; that they love the specialty and have been able to provide the care required to keep their patients safe. I can understand both sides, and the truth probably depends on the individual and how geared up the department is to support newly qualified nurses. I knew I only wanted to work in emergency care. Luckily for me, the trust I trained in does accept newly qualified nurses in the ED and has a specific preceptorship programme. One year on, I love my job and am not thinking of moving any time soon. Certain things have helped. Support is massively important because this is a daunting time. The responsibility can be overwhelming. But even though the department I work in is large and busy, I have still felt supported by colleagues. All new nurses and doctors wear an orange lanyard, a sign that the person wearing it may need more time or support with certain tasks. You can wear the lanyard for as long you like. It means you do not have to keep explaining that you are new, and that it is okay not to know the answer to everything straightaway. There is also a specific education team for the department. As a staff nurse in emergency care, being able to give intravenous (IV) medications and undertake venepuncture and cannulation are essential nursing skills, but they are not taught at university. So having the education team around to help was useful. While some people feel doing these procedures so early is too much too soon, I felt they helped equip me with greater skills and therefore my confidence rose. Ensuring you have the correct mindset helps and certain elements take a while to get used to. It is sometimes frustrating that you cannot see a whole job through, or spend as much time with patients as you would on the ward. However, learning to make small interactions count and to develop a rapport with patients and families quickly means you can still interact well and give good care. Speaking to my peers on specialist wards after six months of being qualified, they had developed a lot of knowledge about their specialty. I felt I lacked this and if patients or relatives asked about a specific diagnosis I did not always feel I could answer fully. With time, however, I have realised that the massive array of conditions seen in emergency nursing means we cannot expect to know as much about each one as a specialist nurse would, especially not straight away. Instead we have broad knowledge covering lots of areas. Reflecting on my first year, I have learned an amazing amount. And I am still learning every shift, which is a brilliant feeling. Working in emergency care as your first job after qualifying? Yes, please. I have not looked back.